Born in the USA, Sandra grew up in Latin America, where she learned about Latin American cuisine. A food writer by trade with over 1,000 articles published to date, Sandra is the former food editor for The Cary News (a McClatchy publication), where she featured a weekly column covering topics as varied as food history, ingredient-based cooking, ethnic and American cuisines, cookbook reviews, and cooking techniques. She featured exclusive interviews with celebrities including: Emeril Lagasse, Sara Moulton, Alton Brown, Steven Raichlen, David Rosengarten and many other world renowned culinary personalities. Sandra is the author of The New Southern-Latino Table (UNC Press; 2011) and of Latin American Street Food (UNC Press; 2013), and Empanadas: The Hand-Held Pies of Latin America (Stewart, Tabori, & Chang April 2015), and Beans and Field Peas (UNC Press). As a recipe tester and developer, Sandra has had thousands of original recipes published. Her work has been featured in myriad publications, including: USA Today, The Miami Herald, The Post and Courier, The Local Palate, FOX Latino, Huffington Post, NBC Latino, RELISH, Military Officer Magazine, and Cooking Club of America magazines, as well as in many newspapers around the world. As a recognized expert in Latin cuisines, she has taught cooking classes throughout the country including at: Southern Season, Williams-Sonoma, The Miami Culinary Institute, Lake Austin Spa, Kitchen Outfitters in Savannah, The Cook’s Warehouse, and many other schools. She has assisted other culinary personalities in their classes or book signings in and around the Triangle area, including chefs Emeril Lagasse, Sara Moulton, Daisy Martinez, Giuliano Hazan, Presidential Pastry Chef Roland Mesnier, and the Grande Dame of Mexican Cuisine, Diana Kennedy and has been featured on television and radio shows. Sandra is media trained by the Lisa Ekus Group in Massachusetts. In a career that spans two decades, this food writer and professional cooking instructor has taught thousands how to cook. Sandra is a member of the International Association of Culinary Professionals IACP and of the James Beard Foundation and she has served as a judge for the cookbook awards for the JBF. 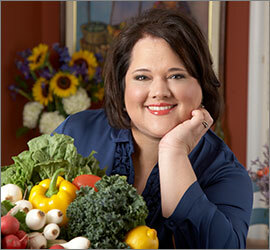 To find out more about Sandra’s classes and other public appearances, visit her website at: www.sandraskitchenstudio.com.